Once again the Diva has fallen in love with a piece of furniture. This time, it’s a bathroom vanity. I found a picture of The Louis by Waterfall in a magazine yesterday and instantly stopped what I was doing. I had to find out more information about the furniture and the company. The website describes the design of the Louis as “Marie-Antoinette meets Mies Van de Rohe, the beauty of contradiction.” And I must agree, it is a beautiful contradiction. To add to the beauty of The Louis you can chose your paint color. The vanity is available in thirteen different colors, however the Robin Egg Blue is my favorite! For those who want a more brilliant color, I’d check out the China Red or the Blue Jean. As it turns out, the Waterfall company makes its transitional bathroom vanities out of eco friendly materials. The wood that is used is LEED certified and the paints are low VOC. After perusing the website, I must say I fell in love with all the furniture. Not just The Louis either, though Louis is still my favorite! If you’re into more modern tastes, check out the Mailbox! Perhaps your bathroom has an Asian flair? Check out the China Town. All the furniture is hand-made in Canada and available only through special order. Expect to wait 6-8 weeks for an order to complete. The countertops can be ordered at the same time. They suggest either Caesar Stone’s Brilliant white which is also eco friendly or a completely eco friendly product called 3-Form that is made out of recycled milk and detergent jugs. 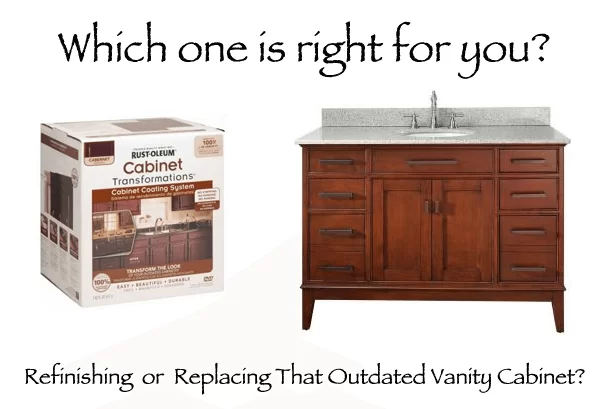 Whether you share my love of The Louis or find another style you adore, check out Waterfall transitional vanities today!